In the kitchen and everywhere else. The chocolate chip cookie. It may be the plain Jane, the everyday cookie, the cookie which even has the capacity to elicit a yawn in the age of boutique cupcakeries, dessert bars and bespoke macaron makers. But a good, warm, chewy chocolate chip cookie…can really do no wrong. Even the most persnickety of dessert snobs will agree that a well-made chocolate chipper hits all the right spots. It may not have the exotic charm of an ispahan macaron or require deft skills, but it is a dessert to be loved and revered just as ardently. I think that is what makes the chocolate chip cookie so appealing to me- there are no hard and fast rules; you can play around with flavours and ingredients and still call it a chocolate chip cookie. Almost all chocolate chip cookie recipes call for brown sugar. I, however, end up using demerara sugar when I bake chocolate chip cookies. And this is the brand I use. I’m guessing that using a brand like Tate & Lyle (which is available in gourmet stores and online) may produce better results or a tastier cookie; but Tate & Lyle demerara costs almost 5 times as much as Blue Bird, so I have never bothered with it for everyday bakes. I’ve never tried brown sugar for the same reason. If your are a Nigella fan, then you have probably noticed many of her recipes call for muscovado sugar. Some call for turbinado sugar. And Here, I am using demerara. So what’s the difference? I am no expert, but I can link to the experts! Chow has a lovely article which talks about HOW SUGARS ARE MADE. Waitrose has a page dedicated to DIFFERENT FORMS OF SUGAR AND WHAT THEY ARE USED FOR. Someday, I’ll bake with all the different sugars and write a comparative sugar post and tell you how it goes! For now, let’s get down to the business of baking. This recipe also calls for brown sugar, but what I did was take demerara sugar and pulse it in the blender so as to make it a little finer. I have baked with Blue Bird demerara before, and since the crystals are kind of large, they stick out in the cookie. A quick pulse in the blender allows them to break down while keeping the colour. 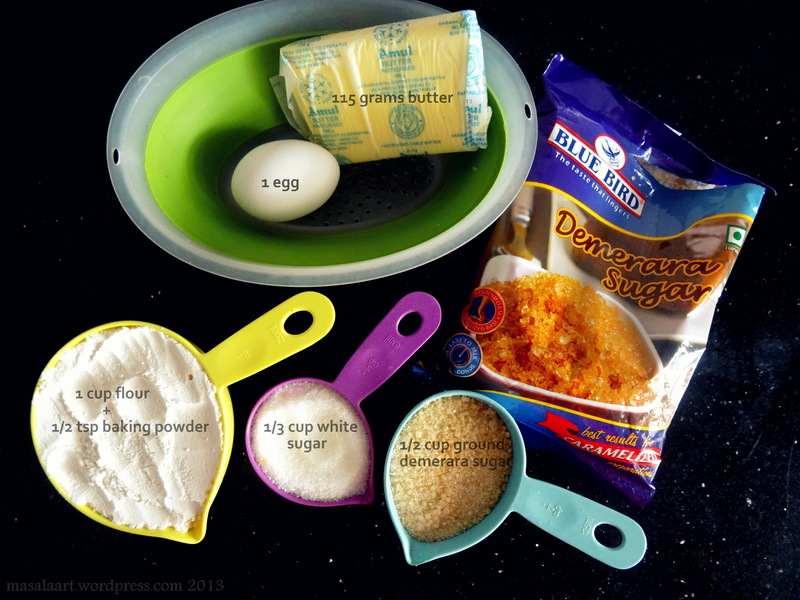 Another tweak I made to the recipe was with the baking powder. The original recipe calls for baking soda, but I opted for baking powder, because based on Tessa’s post, she swapped baking soda for baking powder and got a puffier, cakey cookie. I wanted a soft-centered cookie so it worked out perfectly. Another nice thing about this recipe? You don’t need to chill the dough. 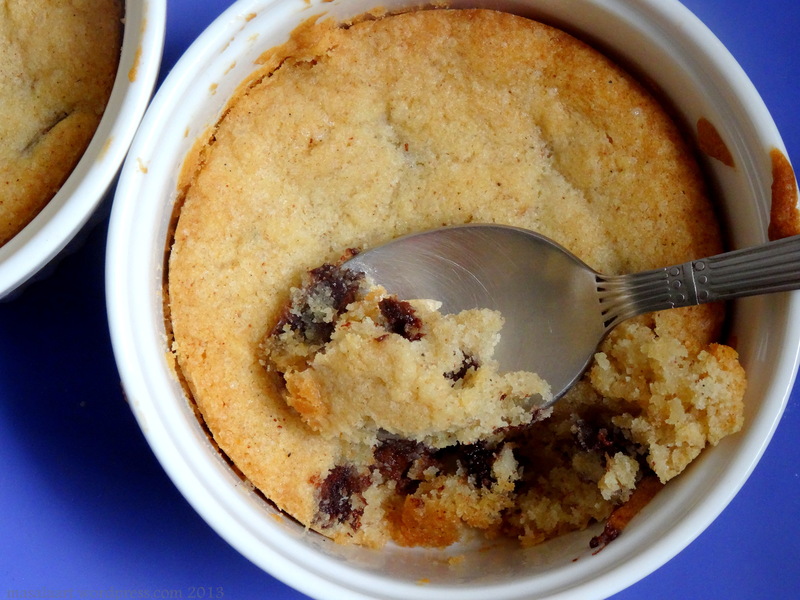 Once it’s ready, no resting, no waiting: portion them out into ramekins and get ready to bake. I like using an ice cream scoop to portion out level scoops, one at time, from one ramekin to the next, so that they get more or less even distribution. Then smooth it out using your fingers. Go ahead and lick off some of that cookie dough. You know you want to. 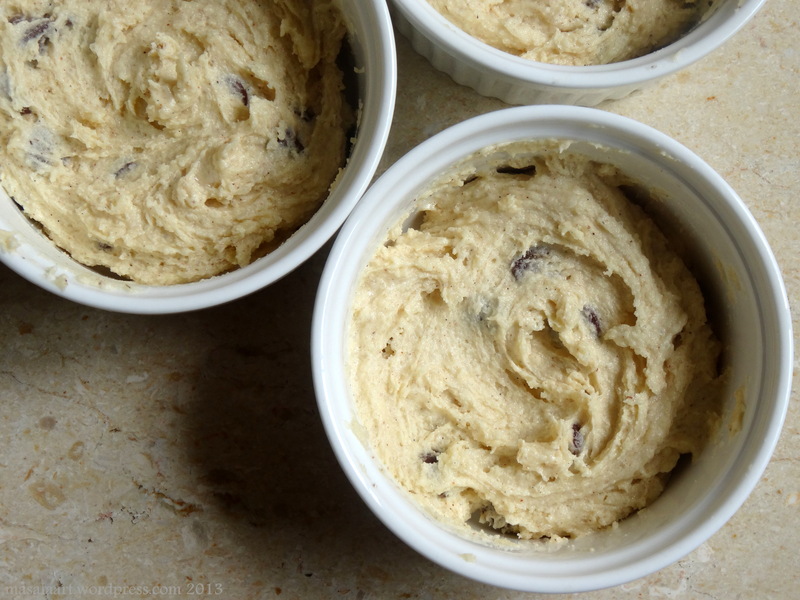 A true cookie dough lover’s immune system can handle it. 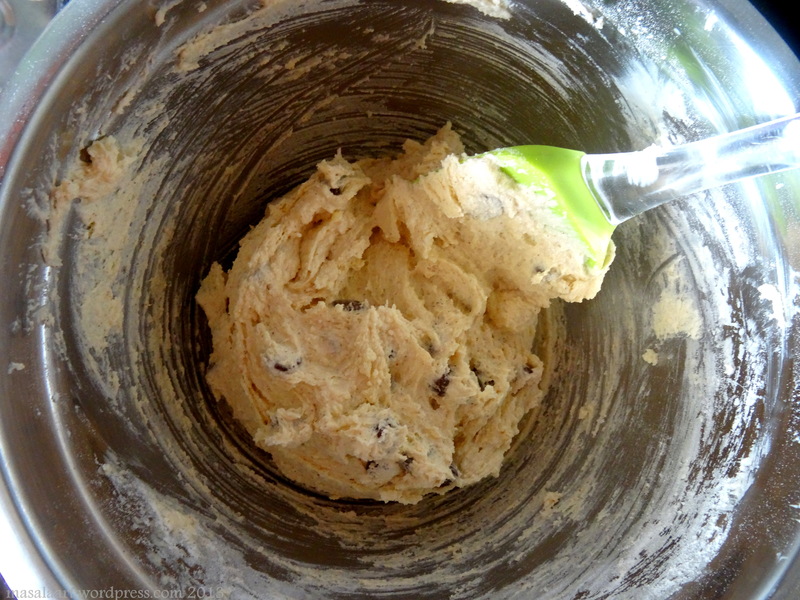 Fear not the salmonella when the cookie dough is near! I do believe chocolate chip cookie dough is a thing of beauty. Preheat the oven to 190 C.
In a small bowl, whisk together the flour and baking powder and set aside. In a larger bowl using a handheld beater or in stand mixer, beat the butter for about a minute until it gets a little creamy. Add in both the sugars and beat until pale and fluffy; about 2 minutes more. Add the vanilla extract egg, and cinnamon powder and a minute longer. Add the flour in two stages, beating on low speed after each addition until incorporated. 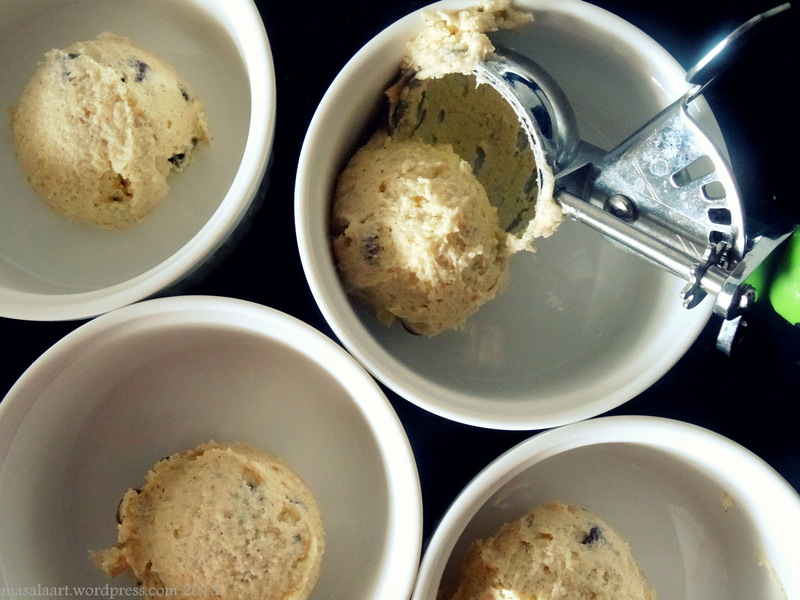 Fold in the chocolate chips using a wooden spoon or spatula. Divide batter evenly between six ramekins. I used an ice cream scoop to portion evenly, you can use any spoon. Bake in the oven for 15 minutes, or until golden-brown on the edges and still a little golden and soft in the middle. Remove, cool for at least 5 minutes before serving. 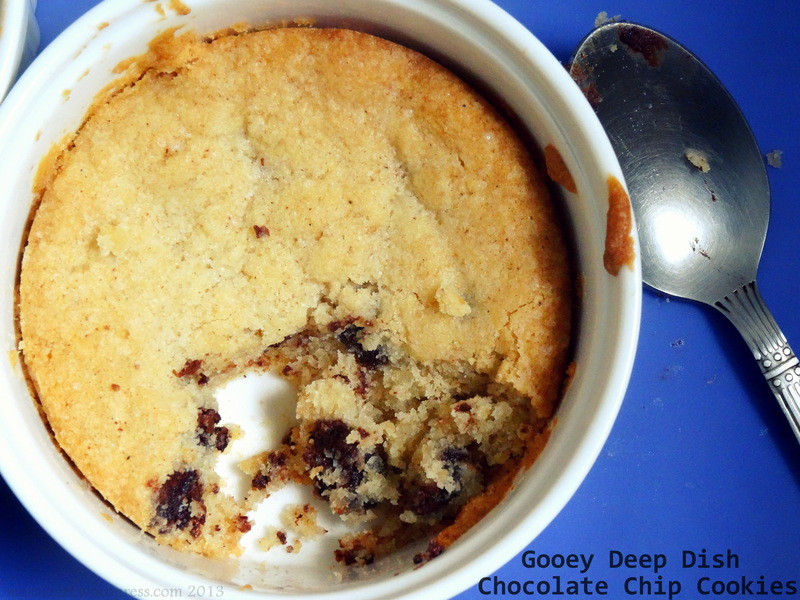 The top is a little crisp and golden, but once you dig in with your spoon, the insides are warm, soft, a little crumbly and the chocolate chips are melting. 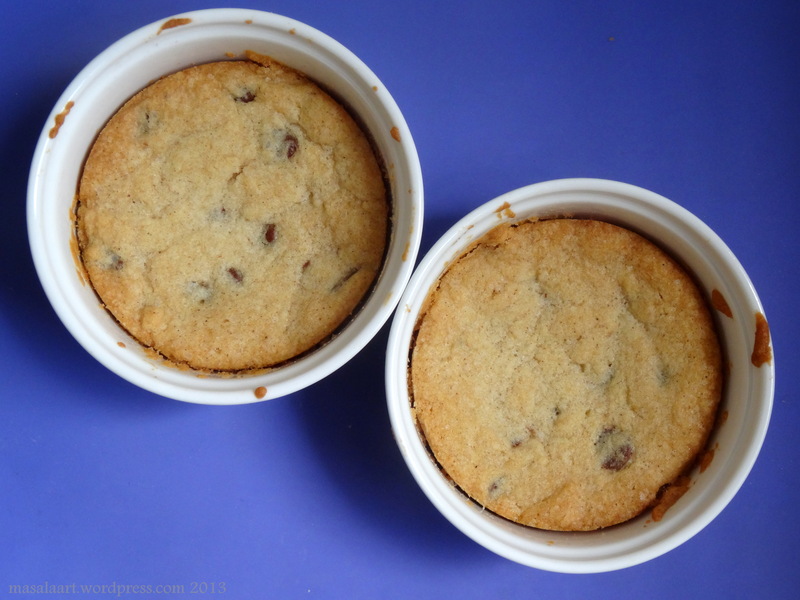 It’s like having the best elements of a cookie and a cake in a bowl! Boy oh boy is this good. A dollop of vanilla ice cream on top and you have a dessert that is phancy enough to impress, but straightforward enough to put anyone at ease. « Hello, You. Good Old Chocolate Chipper. Click to receive notifications of new posts by email. All the cool kids are doing it. Please don't use my stuff unless you give me credit for it or link back to me. All pictures on this blog (except those taken by me) are credited to the owners.